See Our 228 Used Vehicles! Offer good on new 2019 RAV4 LE FWD SUV Model 4430. Lease: No security deposit, with approved credit. Lease for 12,000 miles/year. Tax, title, acquisition fee, document and license fees extra. MSRP: $26,864. Offer expires 04/30/19. Buy: Tax, title, document and license fees extra. MSRP: $26,864. Documentation fee $179.81. Offer expires 04/30/19. See dealer for complete details. Offer good on new 2019 Toyota Highlander XLE 6953. Lease: No security deposit, with approved credit. Lease for 12,000 miles/year. Tax, title, acquisition fee, document and license fees extra. MSRP: $41,994. Offer expires 04/30/19. Special APR may not be combined with any other Customer Cash Rebates, Bonus Cash Rebates, or Lease Offers. Monthly payment for every $1,000 financed 0.9% - 60 months = $17.05, 1.9% - 72 Months = $14.71. Bonus cash from Toyota Financial Services on TFS lease contracts only. Must be applied to the transaction. No cash payment will be made to consumer. Offer valid in Illinois, Indiana, Minnesota, and Wisconsin. See your Toyota dealer for actual pricing, annual percentage rate (APR), monthly payment, and other terms and special offers. Offer ends 04/30/2019. Buy: Tax, title, document and license fees extra. MSRP: $41,994. Documentation fee $179.81. Offer expires 04/30/19. Offer good on new 2020 Corolla SE Model 1864. Lease: No security deposit, with approved credit. Lease for 12,000 miles/year. Tax, title, acquisition fee, document and license fees extra. MSRP: $23,129. Offer expires 04/30/19. Buy: Tax, title, document and license fees extra. MSRP: $23,129. Documentation fee $179.81. Offer expires 04/30/19. Offer good on new 2019 Camry 4-Door LE Sedan Model 2532. Lease: No security deposit, with approved credit. Lease for 12,000 miles/year. Tax, title, acquisition fee, document and license fees extra. MSRP: $25,554. Offer expires 04/30/19. Buy: Tax, title, document and license fees extra. 1.9% APR Financing for 60 Months - $17.48 per $1,000 borrowed. MSRP: $25,554. Documentation fee $179.81. Offer expires 04/30/19. Offer good on new 2019 Sienna LE Model 5338. Lease: No security deposit, with approved credit. Lease for 12,000 miles/year. Tax, title, acquisition fee, document and license fees extra. MSRP: $35,219. Offer expires 04/30/19. Special APR may not be combined with any other Customer Cash Rebates, Bonus Cash Rebates, or Lease Offers. Monthly payment for every $1,000 financed 0.9% - 60 months = $17.05. Bonus cash from Toyota Financial Services on TFS lease contracts only. Must be applied to the transaction. No cash payment will be made to consumer. Offer valid in Illinois, Indiana, Minnesota, and Wisconsin. See your Toyota dealer for actual pricing, annual percentage rate (APR), monthly payment, and other terms and special offers. Buy: Tax, title, document and license fees extra. MSRP: $35,219. Documentation fee $179.81. Offer expires 04/30/19. See dealer for complete details. Open from Service & Parts: Closed Today! The Dan Wolf Auto Group has proudly served Naperville for more than 40 years. Open since 1988, Toyota of Naperville is one of our newest stores, helping Aurora, Plainfield, Wheaton, Romeoville, and Downers Grove drivers find a reliable new Toyota car or pre-owned vehicle. 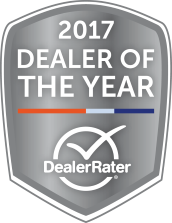 As one of the top Toyota dealerships Naperville, IL has to offer, we’re prepared to address the full range of your automotive needs. Founded in the late 1930s, the Toyota Motor Corporation is known for their forward-thinking and durable vehicles. Today’s new Toyota lineup is one of the most diverse yet with advanced hybrid cars like the Toyota Prius, affordable sedans like the Corolla and Camry, and spacious family vehicles like the RAV4. With vehicles made by Toyota, Naperville, IL drivers know that they’re in the presence of quality. You can find the full lineup at our Toyota dealership in Naperville, along with many affordable used cars. We want to treat all of our customers like they’re a part of the Wolf family and that extends beyond our car sales. Regardless of credit score, we can help drivers of all credit histories explore auto financing options that best fit their budget. Additionally, Toyota of Naperville has a service center staffed with certified Toyota technicians who are specially trained by the automaker to work on our vehicles. 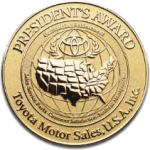 Because we’re committed to being the premier Toyota dealership Naperville has to offer, we use OEM Toyota parts and today’s most advanced repair tools and equipment. At Toyota of Naperville, we guarantee a better kind of car buying experience. Please contact us if there are any questions about our offerings, Toyota, Naperville, IL’s attractions, or anything else! And of course, we invite you to visit us at 1488 W Ogden Ave here in Naperville! Toyota is devoted to safety and dependability, and proper vehicle maintenance is important to both. That's why we include a no cost maintenance plan with the purchase or lease of every new Toyota for 2 years or 25,000 miles, whichever comes first. 24-hour roadside assistance is also included for 2 years and unlimited miles. Toyota of Naperville is excited to announce that Toyota is moving forward with one of the most ambitious safety suites in the industry. Now, you’ll be able to get a wide variety of advanced safety features standard across 13 new Toyota models, with some coming standard with the Toyota Sense C package and others with the Toyota Sense P package. Discover everything the new Toyota Sense package has to offer for 2017 Toyota buyers at Toyota of Naperville.